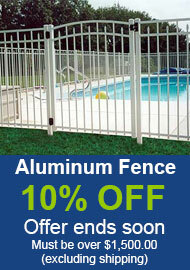 A cost-effective way to cover your fence tops. 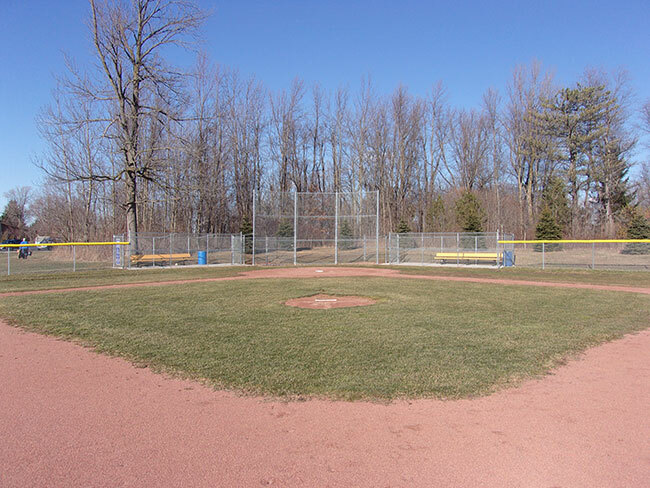 Enhance the appearance of your baseball field! 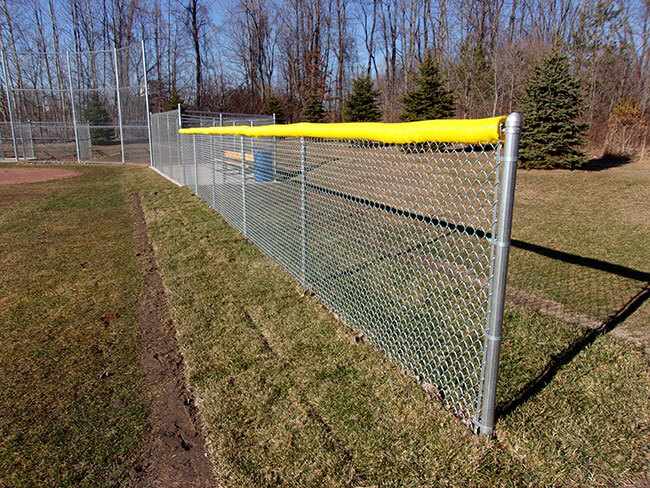 Don't let anybody take a swing at your fences. 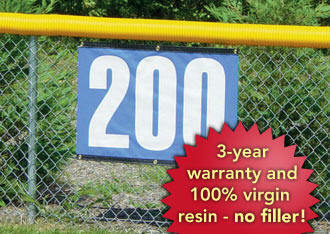 Help protect your players from injury against the top of chain link fences while enhancing your ballpark's appearance. 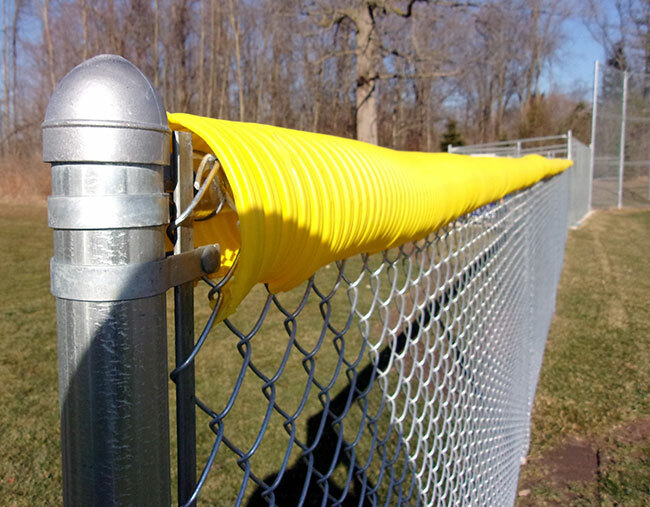 Bright Yellow or Black corrugated plastic tubing outlines your ballpark and gives you that "big league" look. 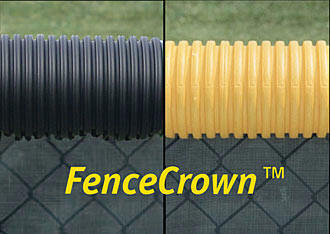 Black and bright Yellow Fence Crown. 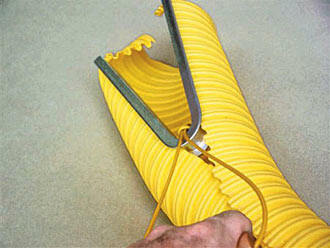 Fence Crown Installation tool makes installing simple. I wanted you to know the project was a success and the fence crown top looks great! Here are a few pictures of the project. 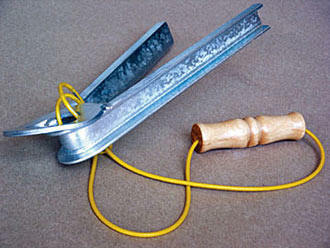 Thank you for helping me complete my Eagle Scout project!